Arapahoe County Criminal Defense Attorney | Law Office of Joseph A. Lazzara, P.C. I handle cases for clients in Denver, Adams, Jefferson, Douglas, Arapahoe Counties. Our office is located in Greenwood Village. The legal system may be intimidating, but there is hope and help ahead. As one of the most experienced and skilled criminal defense lawyers in the Denver area, I understand the criminal justice system and I know the local courts. I can help you stay aware of your rights and options at this time so you can make empowered decisions regarding your case. I use my knowledge and connections to set your mind at ease so you can move forward with great confidence. If you have been arrested, or are facing criminal charges, don't wait another moment. Call my firm at (720) 809-8262 to request a FREE initial consultation with me. We have locations in Denver and Greenwood Village. At the Law Office of Joseph A. Lazzara, P.C., we believe in keeping our clients involved and taking an active approach to each matter. As a dedicated trial lawyer, I work closely with my clients to find a path that is most likely to result in a successful outcome. In the end, my clients and my firm share a common goal: Protecting your rights and fighting for your future. To get started on your case, fill out the following form or call my office at (720) 809-8262. 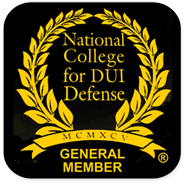 Apr 01, 2019 Can I Get Fired for DUI in Colorado?